Excitement fills the air upon arrival. Laughter was heard all around and the aroma of mouth watering food was wafting throughout the town. Can you guess where we are? No? We’re not at a fair, we’re at Dover Days, September 13, 2014! What goes on at Dover Days you ask? Only Dover residents know but we are about to tell you all about the food, the games & prizes, and how we prepare! What is that heaven-like smell? Is it hot dogs being roasted on the grill, or greasy hamburgers being topped with gooey, melted cheese. Trick question . . . its both! Dover Days always has a lovely assortment of delicious food. If you would rather eat healthy, try out the salad bar or the make-your-own-trail mix booth. You could smell the grills cooking for miles around! When you went to order your food, you could hear the mouth watering sizzle of food being heated on the hot grill. At this event, you’ll never go hungry! The thing that attracts most of the audience here, on this fantabulous day, is the games. 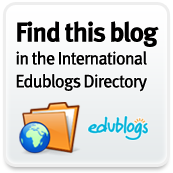 You’ll have no trouble finding one, because there are lots of them! Enough so everybody leaves with at least a prize or two. There are games like spin the wheel where you spin a wheel to win tokens. 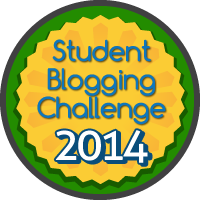 Sam, a fifth grader from Chickering School ran a game, with the help of Ryan. They ran the Marshmallow Toss, a game where you try to get a marshmallow in a basket, if you do … you win tokens! They said they loved watching all the customers that came to play. They loved working and plan to be back next year to bring joy to little children. Then, there is plinko, a crowd favorite, where you drop what appears to be a giant connect four piece into a wall of spikes, and whichever slot it falls into at the bottom you win the amount of tokens listed on it. You have to pay real money to get tickets, but they’re worth it! With tickets you can play games and win tokens. With tokens you can buy prizes. But don’t feel like they’re ripping you off by charging a dollar a ticket. Dover Days is a non-profit fair, and all the money they make goes to the Dover PTO and the town of Dover. The prizes are much better than any prizes you would find at an arcade. They have everything from alien slime, to inflatable baseball bats, to super huge whoopie cushions. You name it, they had it! Well, maybe not a pet dragon, but they have almost everything. What’s not fun about getting to dunk a unfortunate man/woman into a tank of cold, smelly, filmy water? We’d definitely want to do it! The victims change every year. Once it was Mr. Wadness, a fifth grade teacher and Dr. Reinemann the Vice Principal, once it was even Officer Harry, a D.A.R.E. instructor and police man. Who knows? Maybe it could be you next time! But if you want to get your body working and still have fun, definitely check out the bouncy houses. There are tons of them, increasing by number every year. It’s located on the Dover Library lawn, right across from the main section. There are racing courses where you try to race your friends through inflatable obstacles, and there are mile high slides that send you plummeting down a slippery surface at what feels like 100 mph! Boy, all these games and prizes are making me tired. Why not take a ride on the world famous hay ride? The hay ride comes and you get in the oversized tractor full of hay, and ride around town on a voyage you won’t soon forget. In order to make all this happen, you need to prepare quite a bit. We interviewed Sam, a fifth grade student that witnessed the set up of Dover Days. He even helped! When asked how he helped he elaborated on constantly having to create new signs to make sure people don’t get lost at this extraordinary event. He also described how many volunteers they had to hire in order to put Dover Days in motion. They needed one person at each of the booths and at least 2 people at the prize table. Oh, he also had to help brain storm prizes for token winners. Even the adults played games too. That would take a lot of knowing what kids like to encourage them to play the games and get the prizes. Dover Days was a big success this year, and sure, maybe the Cupcake Booth wasn’t there. But hey, nobody is perfect, right? No matter how anyone puts it, Dover Day will ALWAYS be with us, here in our hearts. When people entered the town center, they heard laughter, screaming, conversations, and drifting through the air were delicious BBQ smells. 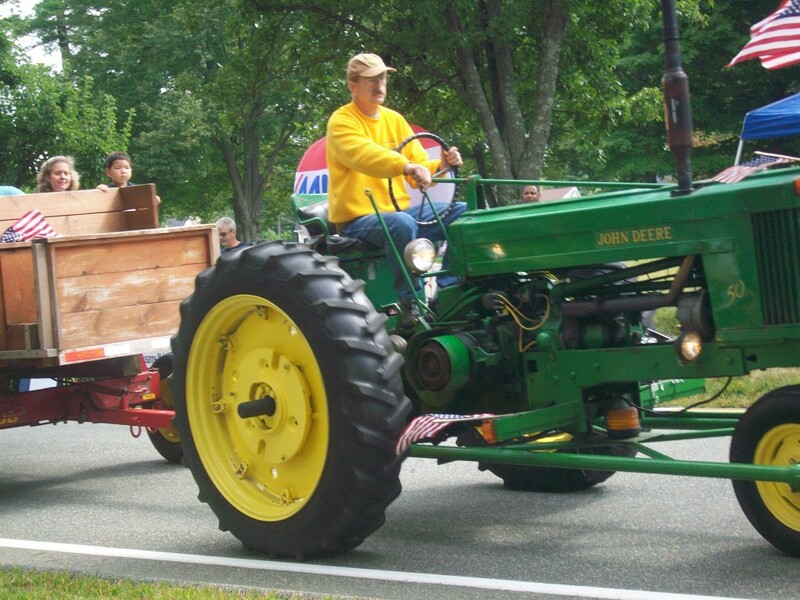 Dover Days is an annual fair that usually occurs on the second Saturday in September. On 21st of September, the day started off cloudy and by noon it was sunny and warm. All around the town common could be seen booths, children’s activities, games, food, and people of all ages having fun. Dover Days is a fantastic festival that is great for all ages. There was a variety of good food and drink. At the local Legion, hot dogs, hamburgers and cheeseburgers were grilling on the barbecue. Captain Martin’s Cod Squad offered lobster rolls, fish and chips, and other items from his truck. For dessert, several booths served Italian ice, ice cream, and other tasty treats for purchase. In addition to delicious food, there were items to purchase including sand art, honey and jam, plants, gift baskets, and toys. This year, missing was the popular “Make a Cupcake” booth, which was a disappointment to many. 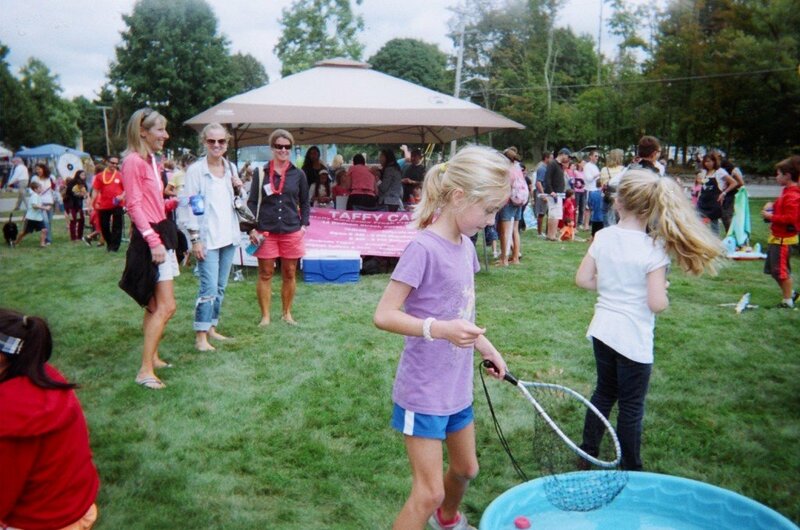 Once you were filled with yummy food, there were lots of entertaining activities and games for kids. 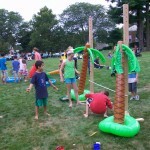 Children’s activities were located on the green near the Town Library. There were multiple types of bouncy houses, always a favorite. One kind was an obstacle course where you raced an opponent to the finish line. The wrecking ball was a new one this year, which involved a ball that you can throw at your friends to knock them over. 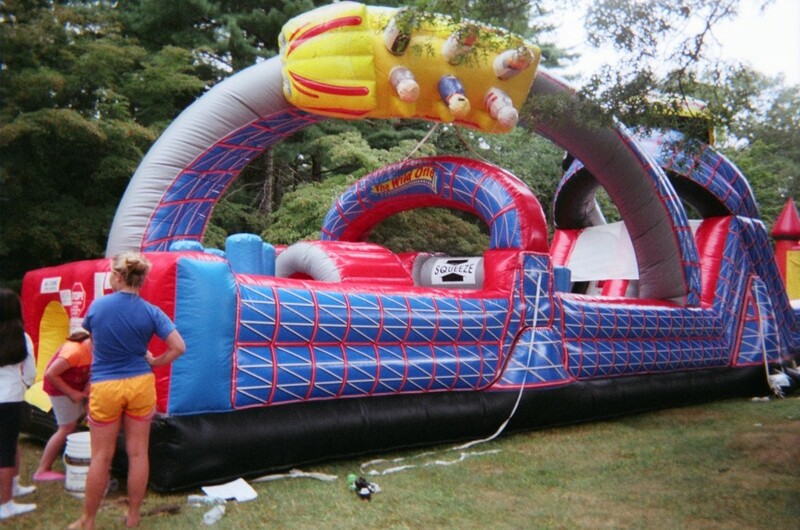 An all time favorite, was the normal jumping around bouncy house. These bright and colorful inflatable houses helped add a festive feel and were a big hit. The hayride was a favorite activity made for everyone. 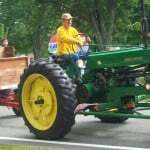 A large green farm tractor was pulling a flatbed trailer with wooden rail walls filled with hay bales. People enjoyed waving to friends and family as they traveled around the center of town. 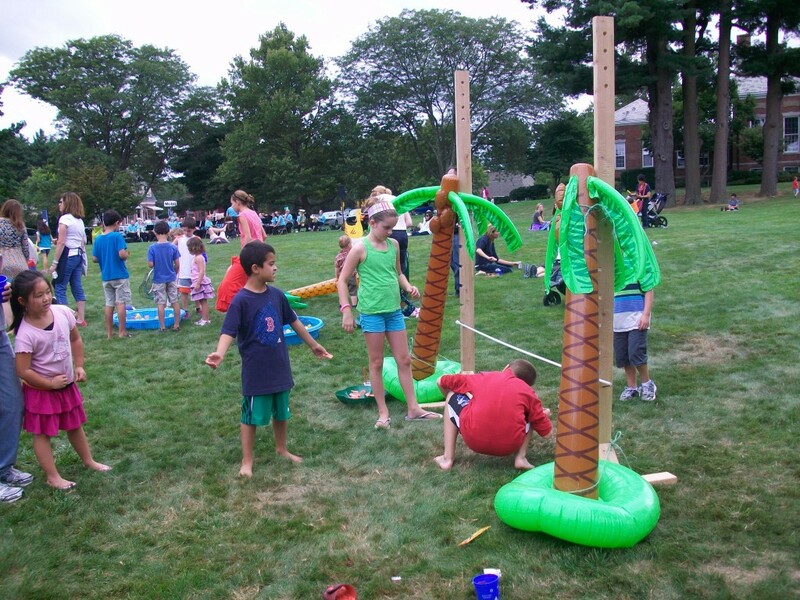 Chickering School’s Parent Teacher Organization [PTO] sponsored games for kids.You purchased tickets, which allowed you to choose from a variety of games: Plinko, ring toss, limbo, duck pond, basketball hoop, and spin the wheel. If you played and won, you received tokens. You could cash in tokens for prizes. Another favorite activity was the dunk tank. People could not wait to get a chance to hit the target that would dunk Dr. Reinemann, our Assistant Principal, Officer Harry, and other unlucky, parent volunteers: Mr. Stocks, Mr. Olmstead, Mr. Townsend, Mr. Hill, Mr. Cook, Mr. Johnstone, and Mr. Alpers. There was something for everyone. An extraordinary thing about Dover Days is that it happens every year rain or shine. 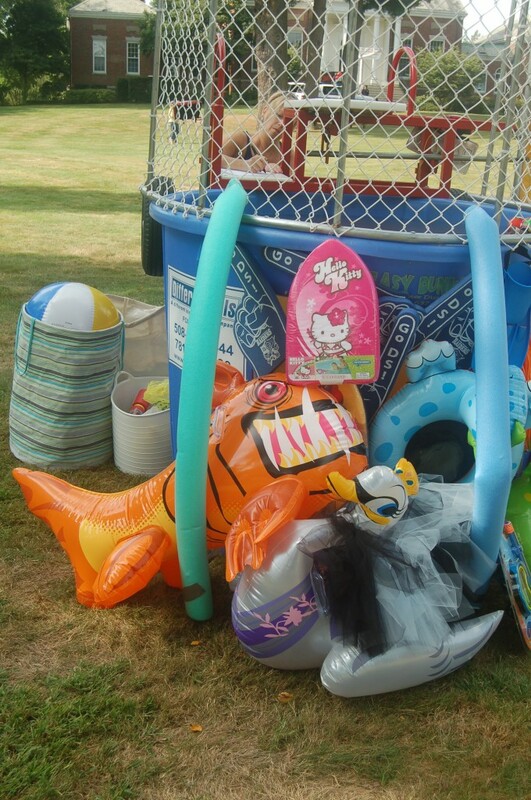 Now that you know that Dover Days has many fun things like bouncy houses, games, booths to purchase items, a Dunk Tank, and Hayride, you will want to mark your calendar for the second Saturday in September, 2014. The town’s residents are already counting down the days till all the fun begins again. Did you go to Dover Days? Did you smell the food? Did you play the games? Well, if you did not attend, you missed a good time! 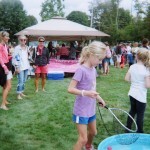 This town fair had over 40 booths; a few examples are the following organizations and businesses who sponsored booths: PTO, Dover Girls Scouts, St. Dunstan’s Church, Precious Beginnings, The Dover Church, Beth Israel Deaconess, Cub Scouts, Most Precious Blood Church, Dover Market and more. This fair was held at the Dover town square on Sept. 8, 2012 and has been held annually every year since 1976. At Dover Days, there are many activities to fit everyone’s interest every year, such as the following games and amusements from the past years’ fair. There was a Hay Ride for families to ride on around the center of town. 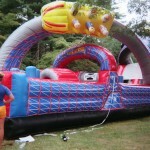 There were also many inflatable structures for children to play on such as the bouncy house, obstacle race course, big inflatable pizza play house, big slide, and the bouncy pole fighting arena. Sand art was another activity where you could layer, in a bottle, different shades of colorful sand. The best part was the delicious food available at the different food booths, … hamburgers, cheeseburgers, hot dogs, popcorn, Italian ice, slushies, beverages and an ice cream truck. When everyone had had enough to eat, they wandered over to be entertained by the multiple PTO games. Plinko, Basketball Shoot, Duck Game, and the Lollipop Tree game. 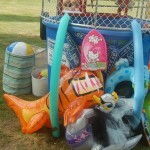 But the most favorite activity appeared to be – the Dunk Tank. A few volunteers were Officer Harry, a Dover policeman, the Vice Principal, the technology teacher, a 5th grade teacher, and a former 5th grade Teacher’s Aide, all from Chickering School. It was another great and successful fair. 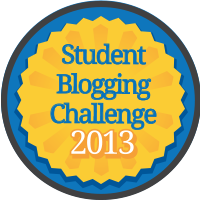 Be sure to make it next year if you didn’t make the awesome experience this past year. Reported by: John S. and Will F.